Create a logo and brand direction that embodied the mission and vision of New York State’s first community-owned wind farm, located near Ithaca, NY in the town of Enfield. HLA designed a logo incorporating imagery of a black oak tree showing a wind-like movement through its branches. In addition to logo creation, HLA also assisted Black Oak Wind Farm in creating and implementing a comprehensive statewide PR plan, to spread news of their project and investment opportunities. 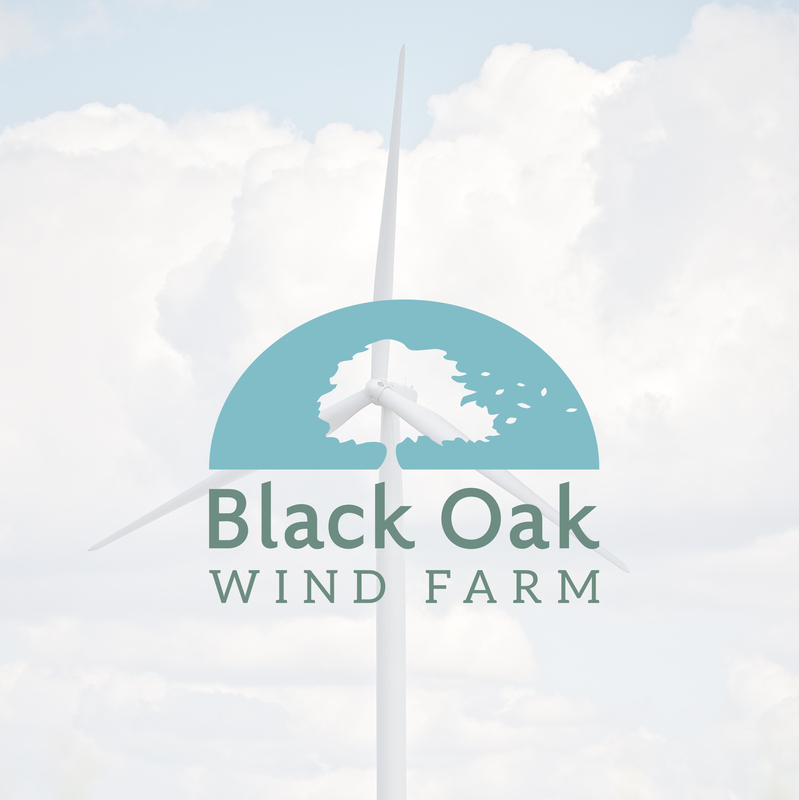 The Black Oak Wind Farm logo has been successfully applied to their website, social media pages, and printed marketing materials. The project has also received state and nationwide media attention, including a number of television and radio interviews and newspaper coverage.